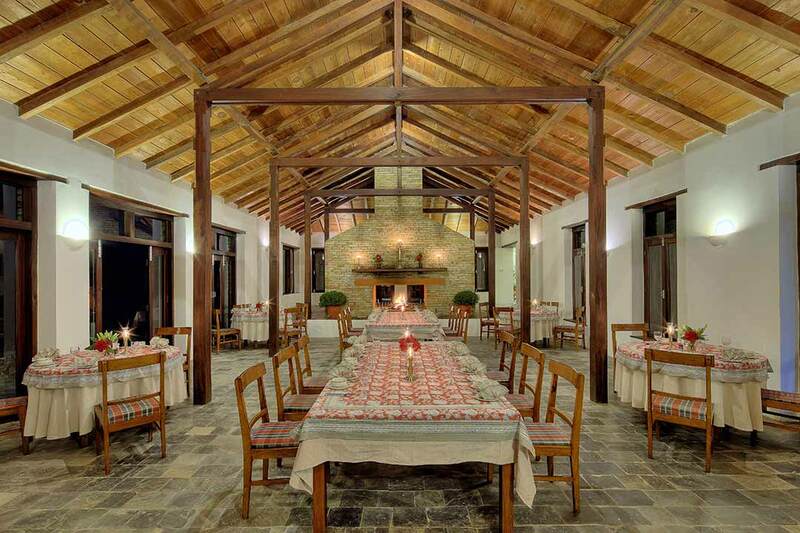 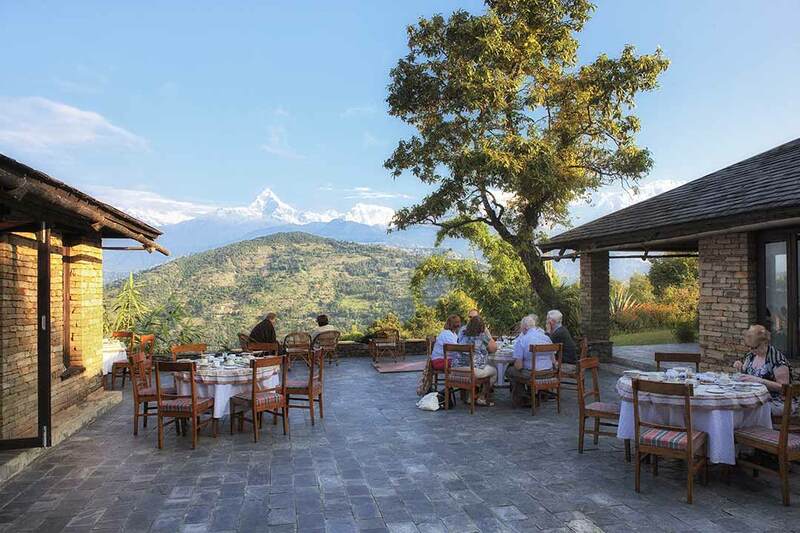 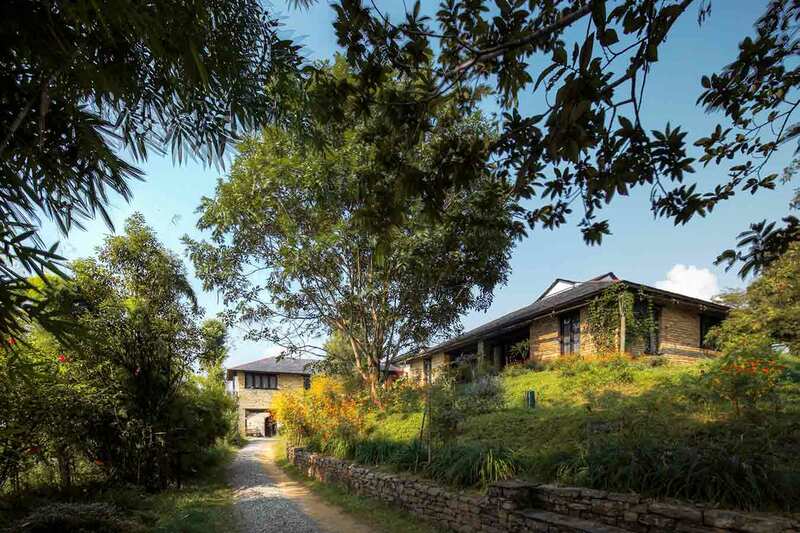 The lodge offers seclusion and luxury, and is an oasis where one can recover from the demands of a Himalayan trek. 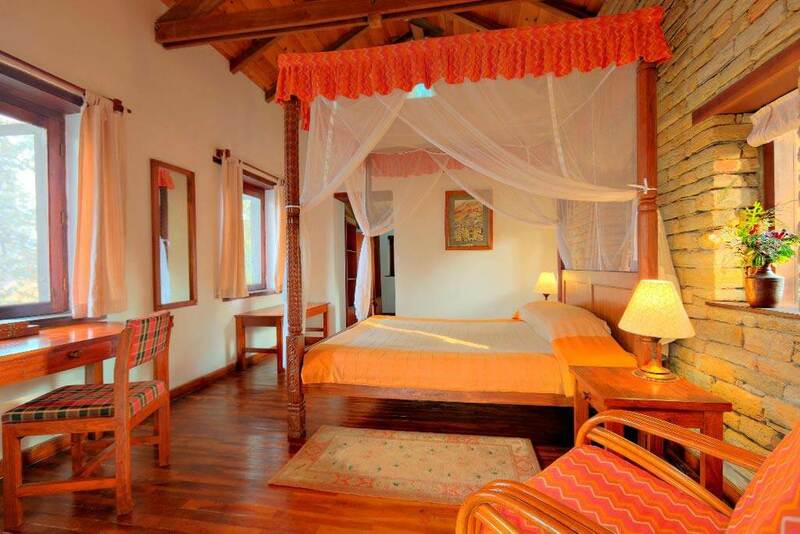 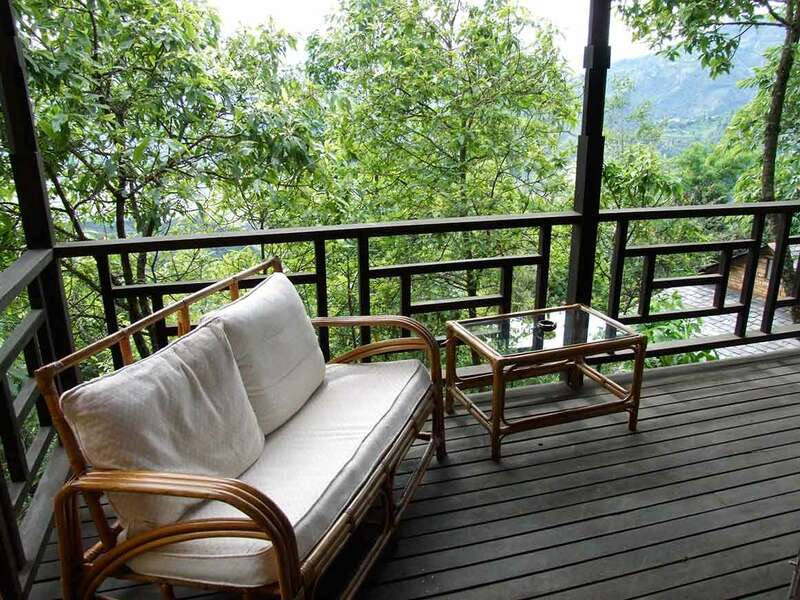 There are 14 stone bungalows, each en suite with private veranda and breathtaking views of the mountains. 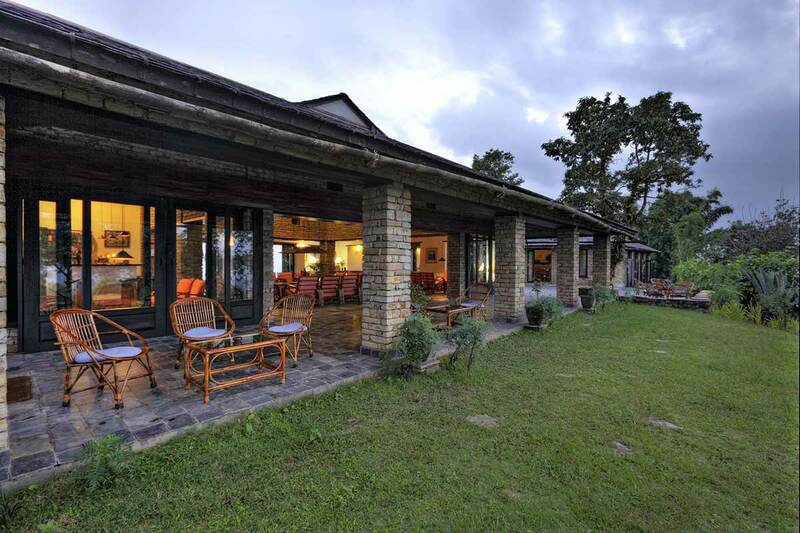 The main lodge has comfortable seating areas, a dining room decorated with traditional artefacts, Colonel Jimmy's Library and an outdoor terrace. 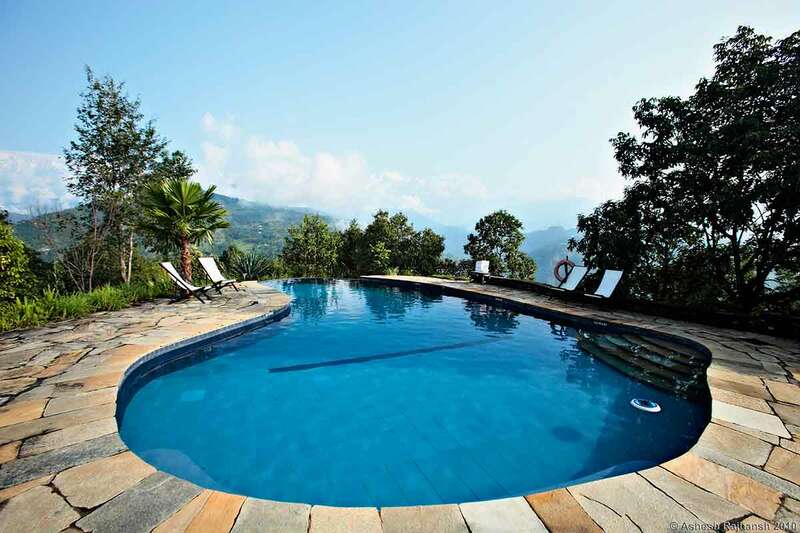 A swimming pool sits in the terraced gardens. 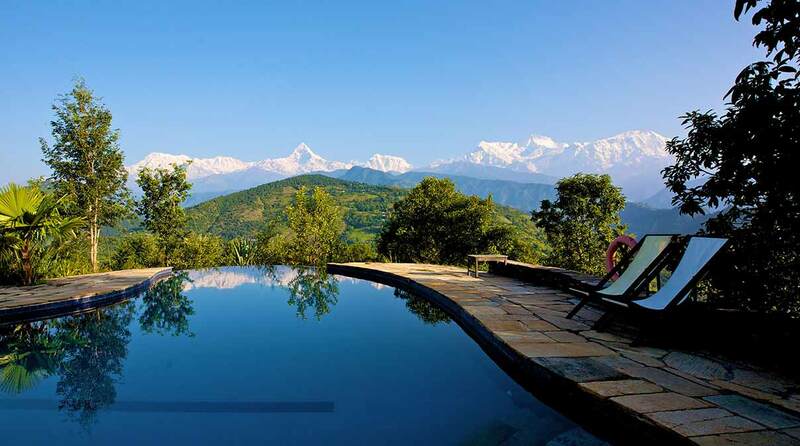 Within easy reach are picturesque hill villages, sub-tropical forests and alpine lakes, and guides are on hand to lead hikes.